A few weeks ago I interviewed the founder of Desi Doll Company, Farzana, in my Saturday Spotlight Desi Doll feature. Now, Desi Doll have been kind enough to allow me the opportunity to offer my readers a giveaway. And what a fantastic giveaway they have offered! 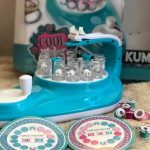 We personally already had the Aamina Doll, the fun dough and the sound book and can safely say they are some of our favourite products. You can see a quick video of Aamina on my facebook page. 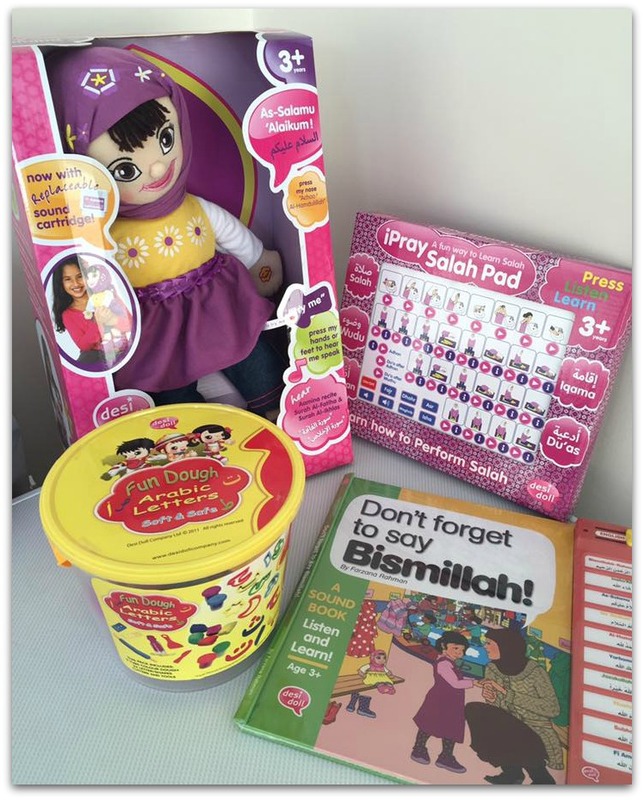 Bee loves her Aamina Doll and enjoys playing with the fun dough arabic letters which we recently reviewed. To enter simply complete the rafflecopter form below. The more steps you complete the more entries you will have. Winner will be notified within 48 hours of the giveaway ending. They will then have 28 days to respond to claim their prize. If they cannot be reached in 28 days then I reserve the right to redraw the giveaway. I’ve never seen these dolls before and I have to say, I absolutely love them! … I also love the story sound book. The Salah toy looks interesting. This giveaway sounds fab! I really really want this for my baby. 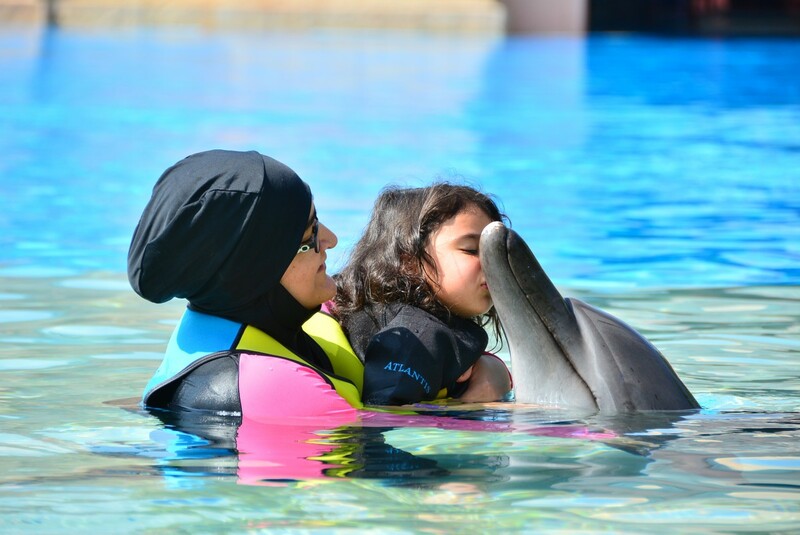 It looks like the best way to give Islamic education to kids. I love the bismillah book! My little one is absolutely obsessed with books so I’m biased in that sense! 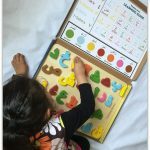 I also really love the alphabet play dough and Arabic alphabets speaking jigsaws that they have on the desi doll website! Amazing stuff Allahuma barik! Wow ! Such a nice giveaway. My kids would love these ! My favourite is the playdough set, the Arabic alphabet cutters look really good! My daughter would love the dolls! i like the yusef boy doll. Has to be the yusuf doll.